<b>INSTANT NATIONAL BESTSELLER <p></p>Soon to be a series on Starz<br /></b><br /><b>&quot;Brilliantly written. . . . Outstanding.&quot;--<i>The New York Times Book Review</i></b> <p></p>Newly arrived in New York City, twenty-two-year-old Tess lands a job working front of house at a celebrated downtown restaurant. What follows is her education: in champagne and cocaine, love and lust, dive bars and fine dining rooms, as she learns to navigate the chaotic, enchanting, punishing life she has chosen. 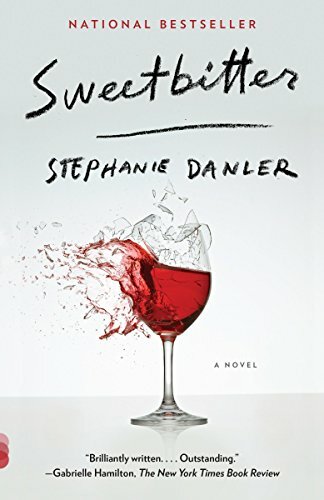 The story of a young woman's coming-of-age, set against the glitzy, grimy backdrop of New York's most elite restaurants, in <i>Sweetbitter</i> Stephanie Danler deftly conjures the nonstop and high-adrenaline world of the food industry and evokes the infinite possibilities, the unbearable beauty, and the fragility and brutality of being young and adrift.